Fight your fear and get ready for the wildest ride in Orlando. SeaWorld Orlando has announced an opening date for its new thrill ride, the Mako Hypercoaster. Theme-park guests will be able to board Orlando’s tallest, fastest and longest roller coaster on June 10, when the new shark-themed ride will have its grand opening, according to the press release. Just last month the final piece of SeaWorld’s hypercoaster Mako was installed. 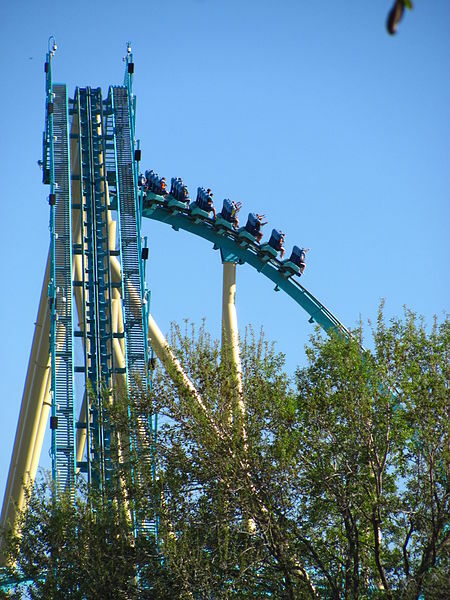 The park has been touting Mako as the longest, tallest and fastest in Orlando. Named after a fast shark that changes course abruptly, the roller coaster will boast a 4,760-feet long track with tight twists and turns, sharp drops and “shark-attack speeds.” Mako will have nine hills and the first lift hill will top out at 200 feet. 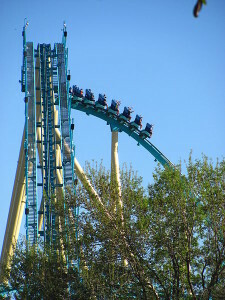 The ride will reach speeds of up to 73 mph. The ride is designed to create the feeling of weightlessness and give riders lots of air time. The shark-inspired thrill ride will join the other SeaWorld’s roller coaster rides, Kraken and Manta and the water thrill ride Journey to Atlantis. The experience will be enhanced by unique sound system and special color light effects at night. The new ride will be part of a new shipwreck-themed area in the park, called Sharks Realm, together with the existing Shark Encounter, an underwater habitat through shark habitat. SeaWorld is previewing the new ride with a presentation, “Mako Rising”, shown twice daily at the park’s Nautilus Theater: at 11:45 am and 2:45 pm. During the grand opening ceremony on June 10 all audience members will receive in-park offers and the chance to get some prizes.